Intro from Jay Allison: Jake Warga was one of Transom’s first success stories, almost ten years ago. He proved the point that new voices for public radio were out there; they just needed a street level entrance and some encouragement. Jake, who had never produced for radio, came to Transom with lovely home-made documentaries, one about a Peace Corps volunteer, one on street dogs, and one about a suicide. 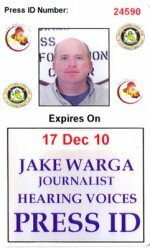 Since then, Jake has produced regularly for the NPR and PRI shows and for Hearing Voices. We’ve invited Jake back to Transom to tell us about his recent embedding in Iraq. He’s come with a solid, useful guide for journalists who might want to embed, along with a thoughtful view of the attractions and limitations of doing so. You’ll find out everything from where to get the bulletproof vest to where to sell it afterward. Last December I entered the “Theatre of War” when I flew into Kuwait International Airport armed only with a camera and recorder. I wanted to see what war was like, to push myself professionally and enter the fog of war. I did that, and much much more once I flew into Baghdad. It’s a great time for media to go to Iraq. Storytellers, now more than ever, are needed to help write the last chapters of this long long war. It’s fantastically easy to apply for an embed slot. I won’t labor on the specifics because they’re all at the OIF—Operation Iraqi Freedom embed site. One challenge as an independent producer might be a credential letter, but I used my longtime supporters: Hearing Voices. In Baghdad I got my first-ever PRESS ID badge. If you’re station-based, it may be easier, or harder, not sure how those things work. Reporter Adam Allington did this story about his embed process. The best practical advice I found was through Lightstalkers, the wandering photographer’s website. I talked to a few people who had already been, a wealth of helpful tips. There are rules you have to agree to, all listed on the website: basic stuff like not broadcasting specific troop movement (that’s the rule Geraldo didn’t follow), not releasing wounded or killed soldier’s names until approved to do so (families shouldn’t hear it from you), etc. The rules keep changing. As part of the application they ask what your story angles are. Not for censorship, I hope, but placement. My story goals were: 1) To spend Christmas with the troops and 2) find out what music they were listening to on their i-pods, what their personal soundtrack to war was (samples follow). They asked where I wanted to go and gave some good suggestions based on my angles, and as I’d never been to Iraq before I simply asked other journalists, researched news stories about areas, etc. Unless you manage to hitch a ride on military transport from a U.S. base (rare and uncomfortable), you have to get yourself to Kuwait for the intake process, likely the greatest expense. The other major expense is a bulletproof vest and helmet, I got mine, I kid you not, from bulletproofme.com, but you can always sell them later, especially through Lightstalkers.com. Once you’re in the care of the system there are no costs unless you frequent on-base cafes, Burger Kings, McDonalds, Cinnabons, or the shops where you can start layaways on (American) cars and motorcycles back home. I hit a few souvenir shops, the Hajji shops, to get some spoils of war like Saddam currency. If you forgot something, you can always buy it on base: I bought a durable pair of pants, favorite boots ever, and other comforts including soap, towels and pillows when needed. You’re asked not to dress like soldiers but it’s suggested you should blend into the environment, which means dressing like soldiers (Catch 22 is an excellent book about military contradictions). Since there is so little press going to Iraq these days there’s not a lot of assistance for reporters once you get there, especially in Kuwait (I’m happy to answer more specific details of logistics, like where to meet the military – Starbucks at the Kuwait airport – in the Discuss section) I was often bunked in transient tents with private contractors. I suggest wearing something that says PRESS on it; I found that once soldiers know you’re not a contractor they REALLY want to talk to you. I was the first media person most soldiers had ever met. I became a roaming therapist. Summing up most of the soldier’s woes would be: we shouldn’t be here. The book Fiasco by T.E. Ricks was on at least two commanders’ bookshelves. I digress, another topic perhaps for the Discussion section. Most of the time I had my own CHU (I suggest bringing a very compact sleeping bag and liner). As media I was treated like visiting rank. I had full reign to explore and hop on any mission once I got to a base. The food was great! KBR (Kellogg, Brown and Root) provided the hyper-cost-incentive food choices (Steak, Crab legs, Lobster, BACON?!) and my media badge allowed me ample access to DFACs and MWRs. Don’t worry ethicists—I ate the military’s food but I never drank the punch (we can go into this in the Discussion page if you like). KBR even does your laundry. Unless you speak the language, know the culture, and have lots of money, I wouldn’t suggest going to Iraq independently. Since I wanted to talk with soldiers, hear their stories, learn about the war and the country through them, embedding was the best way for me to get access. I met very few Iraqis and wasn’t allowed to leave the base alone, not even to wander into a village for example. 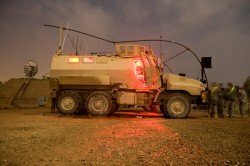 Most of my views of daily Iraq were through blast-proof MRAP windows. Really though, why not embed? Can you get killed? Sure, but have you ever driven on a highway to report on a story? Climbed a ladder to get a good angle on something? Covered a riot? Jaywalked in a busy city? Danger is all around us, and there are special insurance companies that cover embedded journalists. I felt very safe most of the time as I was mainly in secure bases. The closest to danger I got was one morning at an Iraqi police base: An IED blast 1200m away forced an “oof” from my body and my soul; five civilians died, seventeen wounded. Can read about that day here. Most of my time was downtime, but never boring. I was with the army, not the front-line Marines or soldiers involved in daily combat. There are few front lines when you’re drawing-down. So I was with engineers, logisticians, maintenance people—basically, the support brigade. Which is what I wanted. I wanted “last one out turn off and take the lights home” angles. I didn’t want to document the bang-bang of conflict, it’s hard to interview someone when they’re being shot at, and I wasn’t too keen to get in the path of bullets. War reporting is seductive, but I just wanted to flirt with it. What inspired me most to do this embed was reading Ernie Pyle, famous WWII correspondent who gave readers intimate individual stories of their sons, the nation’s sons (and now daughters). Pyle wrote of the daily, sometimes profound, often mundane, struggles of the average Joe, bringing the reader into a personal space that “official sources” never bothered with. His unique tree-for-the-forest approach, I realized, is perfect for Radio. There are reporters out there who do a much better job at giving us the tragically brief top-of-the-hour updates on the larger picture; what I wanted to do was capture the details, the individual experiences. Blog-wise, print-wise, I leaned on the inspiration and style of Edward Murrow as best I could. An issue: Does the journalist have an opinion? You bet. Does the journalist exist on the field, or is s/he merely a tripod or recorder? Old school, No. New school? I believe denying bias has lead to great failures in journalism. I try to stay out of every piece I do, but it’s impossible: I ask questions, I edit, I omit, I allow…I welcome further discussion, but Sean Cole explains it best here. Dig deep in gratitude for all that generous producers share here. Since this is Radio, here’s some sound clips to illustrate my embed adventures. Most base-hopping was done in helicopters, Black Hawks, that fly at night to avoid enemy fire, but at sunset there was enough light for a quick picture. A tip: When you’re waiting on the ground for a helicopter, don’t face them as they land on a gravel pad, you’ll be pelted with LZ (Landing Zone) pebbles. I figured that’s why we have to wear full battle-rattle (vest, helmet, eye-protection, ear-plugs, etc). Riding in a UH-60, a Black Hawk, you’re basically inside a jet engine. A VERY loud engine. To appreciate the following in-flight clip you should plug your computer into an array of concert speakers, duct-tape them to your head and crank the volume to 11. Test Fire, Test Fire, Test Fire! Every time a vehicle leaves the base, they have to test their weapons by firing into a sandpit. The back seat of a HMMWV is a tight squeeze. In the next clip, I was in the backseat under a gunner standing on a little platform and discovered that my seat happened to be where really hot shells from an M-240B machine gun came raining down. First you’ll hear the vehicle ahead of us, then the machine gun above me, then potshots with a rifle out the side window by the other back seat passenger. Again, turn the volume all the way up, to 12. 2. 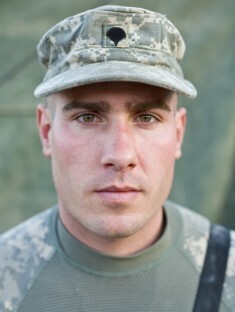 My War: Killing Time in Iraq, by Colby Buzzell. 7. Anything by or about Ernie Pyle. The enduring attraction of war is this: Even with its destruction and carnage it can give us what we long for in life. It can give us purpose, meaning, a reason for living. I went because, in this moment, Baghdad doesn’t feel all that far away, but will hopefully feel very far to my young god-son, like Saigon felt to me, like Normandy felt to my parents. Each generation has their distant war. Maybe someday he’ll ask me about it, about that chapter in his school textbook. And when he does, I’ll be able to say I was there, and that I’m so very sorry; for like each generation before, we failed to learn. I had never really talked to a soldier before and knew nothing of ranks or the deep culture of service. I discovered something wonderful once I started meeting them: they’re just regular people stuck doing a tough job. The modern teenager or 20-something has an i-pod or personal music player of some sort. We all love our music. The plan I fermented before leaving was to talk with soldiers about their music: what they listen to, and from there, through their music, talk about them. During downtimes (majority of the time), I asked soldiers to cue their favorite song for this deployment (if multiple) on their i-pod, the track they listen to most. With a simple male-to-male mini-cable, I would patch their device into my recorder and together we would listen to the song. I would then switch to my mic and interview them about the song…and them. I discovered how you can slow the mightiest army in the world: let it rain. MRAPs have a hell of a time not getting stuck, so to avoid a quagmire we did a dismounted patrol (went on foot) to get a feel for what residents needed, etc. The biggest complaint from the few that didn’t immediately hide when we arrived was about the slow progress on repairing the main bridge into town—one the U.S. destroyed by driving over it a while back in an MRAP. Then we met at the mayor’s house to talk about a micro-grant loan (we used to just throw money towards reconstruction, now we do loans). I was surprised; this was an engineering battalion doing things like diplomacy, micro-grant lending…politics. 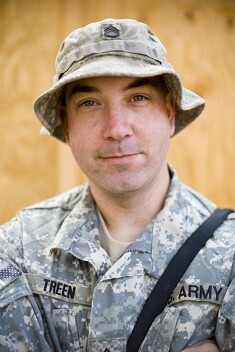 They’re not trained in much of what they’re asked to do, so says Adam Treen. 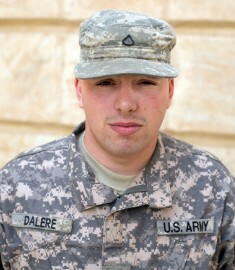 I did all I could to make soldiers feel comfortable with the experience of being recorded and sharing personal views. I first met Kriegshauser at the little Hajji Shop at FOB Bernstein—a basic store run by Iraqis that sold sodas, smokes, souvenirs, kitsch, and lots of pirated DVDs. I was bored and buying more cigarettes (I don’t smoke, I shared them with soldiers, another ice-breaker technique) and some Mountain Dew, commonly called Squiggly-Dew since one side of the can is in Arabic. He was really worried about what he said to me about Iraq, about his experiences, about the interview in general. To put him at ease I let him listen to it along with his commander. I got really in with his group; they even invited me along on their mission that night. I went, even after I discovered they were a “route clearance” team—going ahead of convoys to look for IED’s. A typical music choice of soldiers: metal/death/rock/ImStillNotSure genre. It cost me a pack of cigarettes, but he eventually opened-up and let me know what he was feeling about serving in Iraq and his friend who was killed. Unlike the textbook conflicts of WWI and WWII, there were quite a few female soldiers around, and after listening to a lot of metal, death metal, a country song was most appreciated by this reporter. I recorded first with a Sony PCM-D50. But for portability and less frustrating battery life, my back-up recorder became my primary: the fantastic Olympus LS-11. I recorded on the internal 4gb and loaded the SD card with music for the ample down and transit times the military excels at. Thanks to Barrett Golding from Hearing Voices for re-mastering the final audio. The only microphone I’ve ever used, Sony ECM-MS907. A $70 camcorder mic (plus additional windscreen). I had a shotgun mic (AT-835b) but didn’t like waving it around at people with real guns and used it only rarely, often leaving it behind for missions. Field editing on my computer using ProTools. My camera was the Canon 5D. Lenses: 16-35mm and a 50mm. Jake Warga started in radio by recording his friends and sending the stories to Transom. After graduate school in London for visual anthropology (he’s still not exactly sure what the study is) he returned to Seattle where he continued his dabbling in radio. Now he’s a photographer, writer and freelance journalist. With microphone and camera he’s traveled to places common and exotic to photograph the destinations for PR, travel industry and stock agencies. A retrospective of his African portraits is now on view at the Seattle Art Museum. He sends radio pieces off to shows like All Things Considered, The World, Studio 360 and always Hearing Voices. You can learn more about Jake and his work at his website jakewarga.com. I entered the theatre of war through a Starbucks. the fog of wars sweet icing. That was only the beginning of my adventure. I welcome spurs of discussions in any direction: ethics of embedding, why dorky head-lamps are the most awesome invention, what soldiers really want to say and do, how to edit what they say, or what the best camera shutter speed is for Iraq. Fire away with questions and discussions, Ill put on my helmet and answer as best I can. You described soldiers as glad to find out that you were PRESS, and eager to talk to you. Was that universal? You didn’t find a distrust of the press there? 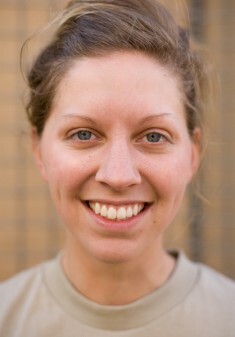 Been my experience that soldiers/marines/sailors/air(wo)man/caost-guards(wo)man make great intervus. I’m always impressed by the folks who join the military: they’re thoughtful; they often have great down-home voices; they & their voices often have great character; and they have great stories. Really, .mil folk are a radio reporter’s dream. Soldiers were not supposed to tell me what theyve been taught about interacting with the media (its now part of their basic training), but of course I put much of it together: some rules they shared with me, others I inferred, most they broke. Its safest for them not to say anything, but talking about what music they liked really helped open them up. They put trust in me, and I returned that trust by turning off the recorder when they started talking of things they shouldnt be, or when they grew uncomfortable. Their fear came from saying something that might get them in trouble with command. Some did steer very clear of me and I let them. There was a strong belief that the press has betrayed the soldiers, that we have it all wrong. And we do. Mainstream press mainly proceed their reporting with official sources say and rarely mingle with the boots on the ground. Other than a freelance TV team from FOX doing soft-touch Christmas stories (Im guilty of that too), I met no other press in Iraq. Jake hit on an incredible formula by focusing on the music soldiers listen to during their "down time". This opened sensitive comments, whereby soldiers shared soulish impressions from respect for the culture where they are currently stationed, to bolstering courage in the face of personal loss. Send in the Clowns, music made popular by Judy Collins, is a favorite song for a soldier in Afghanistan, for example. After hearing this interview, I was struck by the war-metaphors within this circus song. On a personal mission to find out what the soldiers are listening to, I thought it would be easier to get information from the White House, than to discover what the soldiers were listening to for some kind of recovery after their work. Instead Jake made it poignantly clear. How long was your embed stretch? Would you do it again elsewhere? Could you elaborate a bit more on the ethics of embedding angle you mentioned above. Also on the taping experience — what the soldiers didn’t want taped. I’d like to know more about what they wanted to say and do. SydI was In Theatre for 25days I think, including limbo time in Kuwait for them to process my visa (youd think after so many years it would be smoother (this is me venting)). Each day in Iraq was a lifetime, which is why I find photographing to be essential even for radio geeksyou cant take it all in at once, everything is new and meaningful and meaningless, sense can only be made in reflection. Photos are reminders, moments you can enlarge and clarify later. Yes, I would do it again, I think, if nothing else for the food and crazy summer-camp from hell atmosphere. I still have my vest, so there must be something, some temptation, to keep me from selling it right away. Now to say what troops shouldn’t say, or didn’t want on the record, would be, well,…No comment. Thats actually one of the first rules in dealing with media that Ill share here: theyre trained NEVER to say no comment when asked on about something they, oddly, dont want to comment on. Thats what superiors are for. From my notebook page of funny things soldiers said: Wheres my superior officer to blame? ! I dont know what the army did to them exactly, but fear of saying something that might get them a reprimand is something greater than the imagined punishment of push-ups and cleaning toilets with toothbrushes (theres actually a privatized service that cleans out porta-potties, the truck has danger, blackwater on the side, blackwater being the term for sewage, its ok to laugh/cry). Part of the media embed rules says that I cant share ROEs, little cards that keep changing but are always in their arm pockets: Rules of Engagements. The chain of requirements necessary to shoot, engage, at the enemy. I never asked to see them. I was a therapist, someone from the outside not wearing a uniform, that they could vent to. Even Chaplains are in uniform, just the only ones who dont carry firearms. I was a zooming-out option for them, with me they can share the whole picture, the stupidities of their daily lives, the suffocating and impersonal bureaucracies of the system of which they loved declaring the terribly obvious inefficiencies of. I knew they wanted to talk as a person, not a soldier, when they told me their FIRST names. Your last name is stitched on your uniform, it is your soldier name where as your first name is you. I have to say hearing that you encountered a Hertz, Starbucks and Cinnabon in Kuwait on your way to the war is a bit surreal. And so I’m curious, how does this travel compare with other travel you’ve done? Were you exposed to the local Iraqi culture at all? Were you able to get a sense of place? Is that even possible given the circumstances? Or was it all McDonalds and Burger Kings? Feels like I was only in Iraq for one night when we stayed over at an Iraqi Police station. Otherwise I was in America: a dusty militarized and privatized America with all the discomforts of fast food, internet cafes, gyms and laundry service. 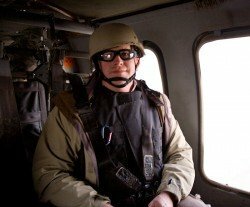 My limited view of the country was through letter-boxed blast-proof windows of MRAPs or high above at night in a deafening deadly helicopter while base-hopping. The few Iraqis I did meet were translators, cleaning staff, police, or shop owners selling pirated DVDs and cigarettes at Hajji shops on base. Sort of like saying youve visited Nebraska because you flew over it in a plane. I did walk through Tikrit one night at 3am surrounded by armed US troops, or in the Sal-a-din province we walked around in the mud one day, the locals pretty much scattered when we arrived. My goal was never ambitious enough to try and get a finger on the pulse of Iraq the country, or even the idea of Iraq. In my travels Ive found that the father you go, the clearer you can see where you came from. The country I learned most about while in Iraq was the U.S.
Would it have been possible to get outside the American Iraq? How would you have done it? I would say one of the things that shocked me the most was how open and unfettered my communication and access to soldiers was. In the months leading up to my departure I was fraught with concerns that I would be "handled", "managed" and my greatest fear…to be "channeled" toward PR-type stories. Thankfully, this was not the case at all. Like Jake says, most soldiers are honest and direct. Without the embed my access would been greatly reduced. I would have to go the PAO media machine for every interview, instead of just walking across the base to a barracks, or asking questions as we bump along in a humvee. No one ever told me certain topics were off limits. In my case, I was fortunate to be with a company of PSYOP soldiers whose job was to go outside the wire to interact directly with Iraqis. I could ask regular man-on-the-street interviews to whoever I wanted. And I was able to use the Army translators, which was HUGE. Folks at the Poynter Institute tend frown on these kind of arrangements, where the journalist is under the "care" of the military. But given the nature of the conflict, the dangers, and the logistics its just not possible to be 100-percent indy. Given how few journalists are actually in the field, I feel that some concessions are justified despite the appearance of a cozy relationship. You’re still there, on the ground, reporting what you see. I’m not sure how to walk around Iraq outside the military, but I’m pretty sure I wouldn’t want to–unless I spoke the language, grew facial hair and was not so white and blond. Maybe in another 10yrs I can go as a tourist with my camera, but I have my doubts. Click.